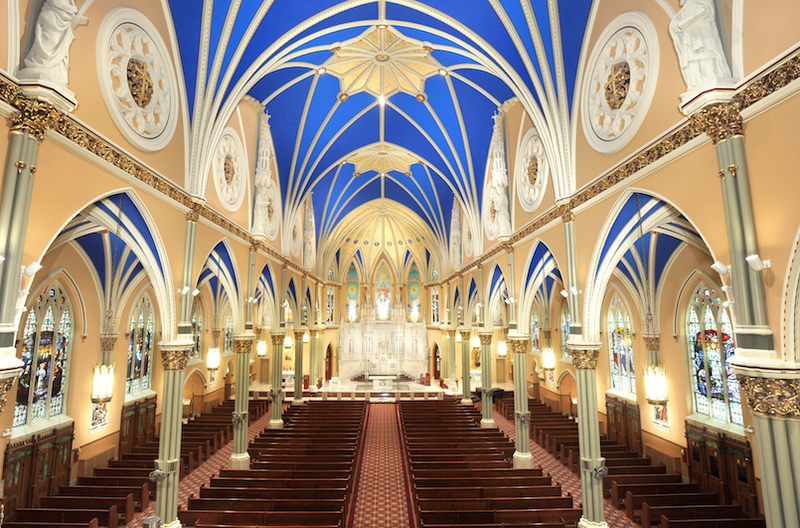 St. Alphonsus is a German-Gothic Catholic Church located in Chicago’s Lakeview neighborhood. 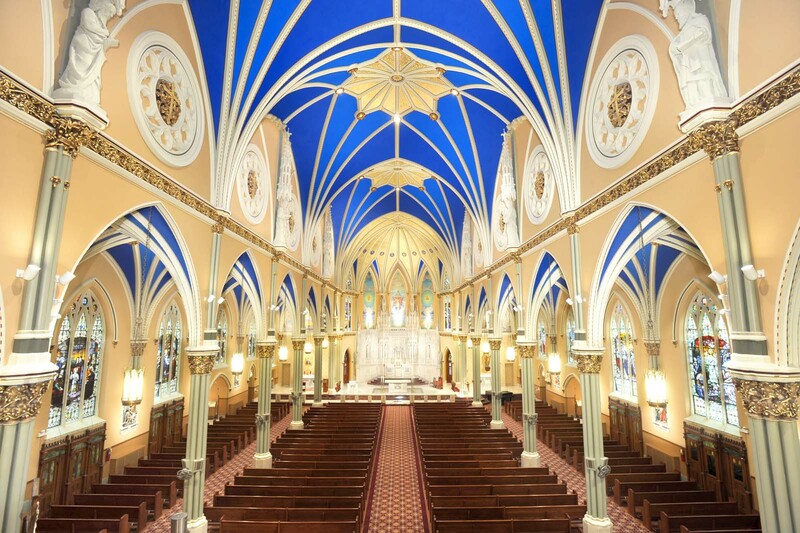 The church was previously in disrepair, but following an extensive renovation and restoration by Daprato Rigali Studios, it is now considered one of the most beautiful and most photographed churches in the country. 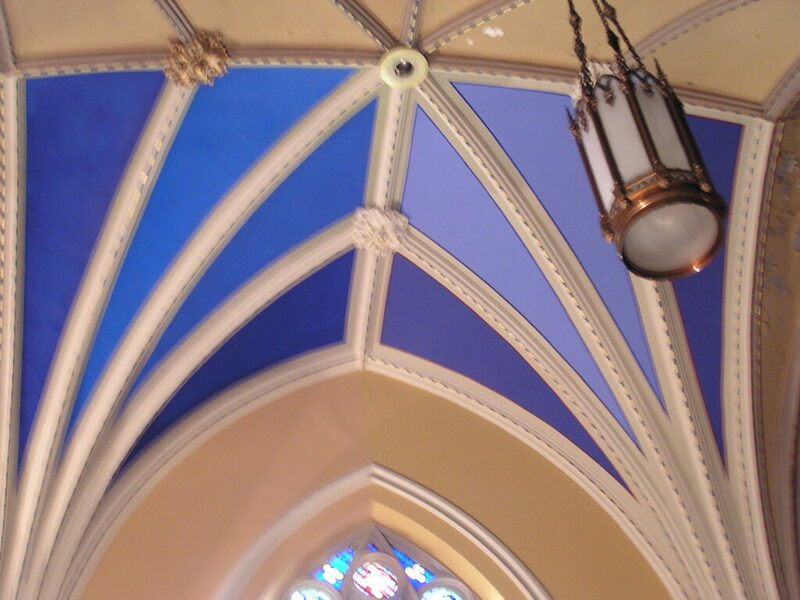 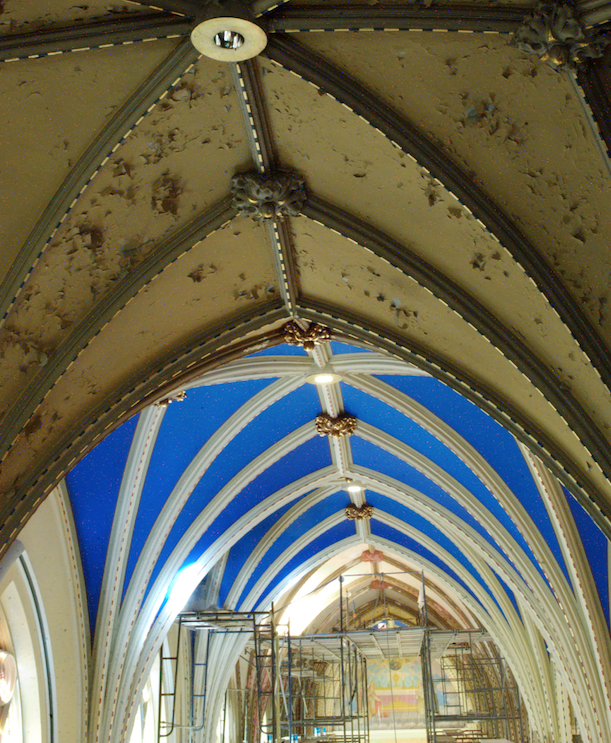 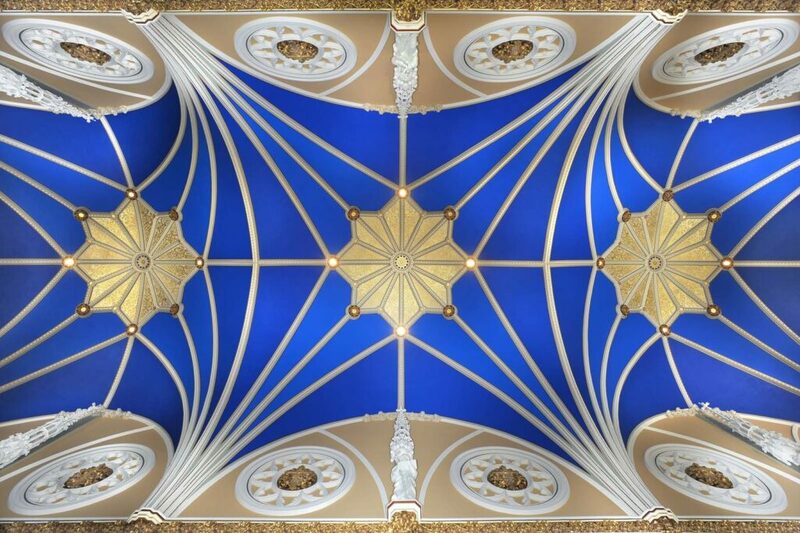 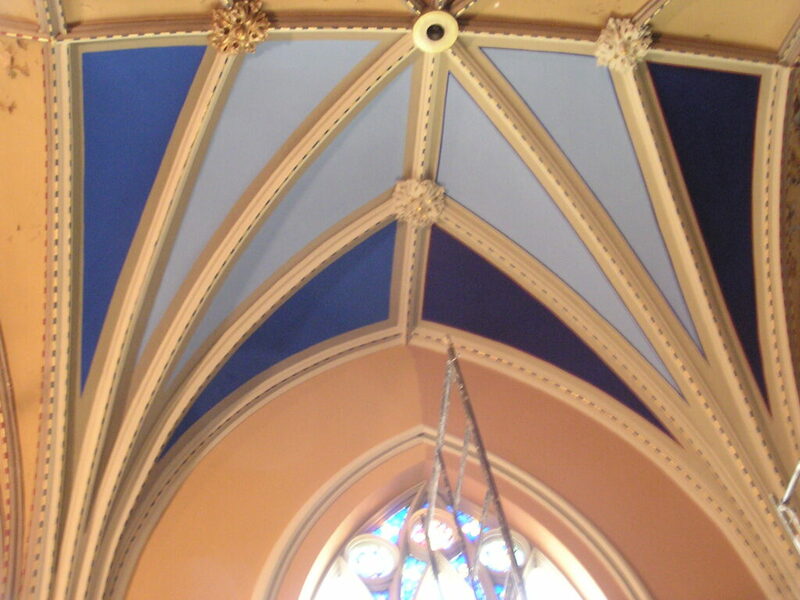 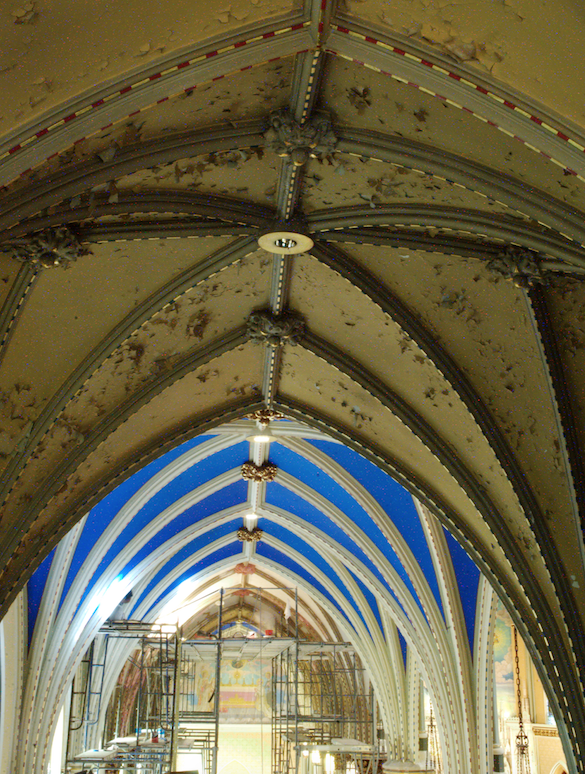 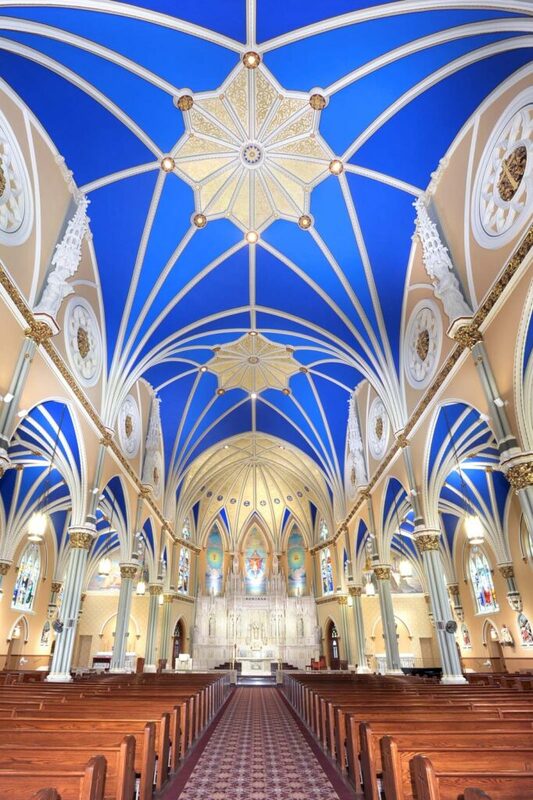 It was the cover shot for the 2015 Chicago Open House Tour, and its beautiful blue ceiling decorates vaulted gothic arches. 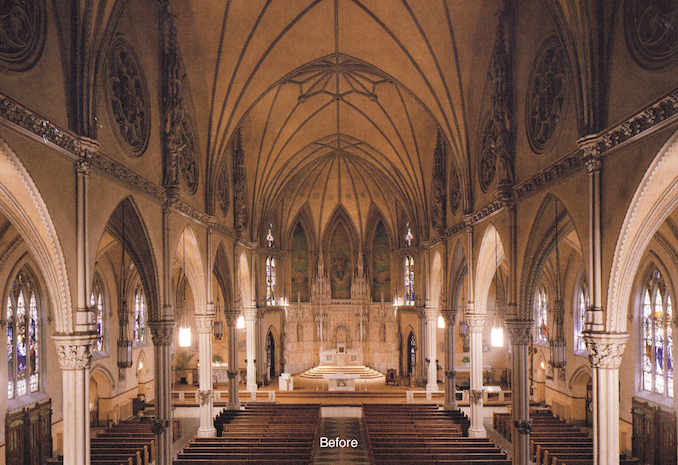 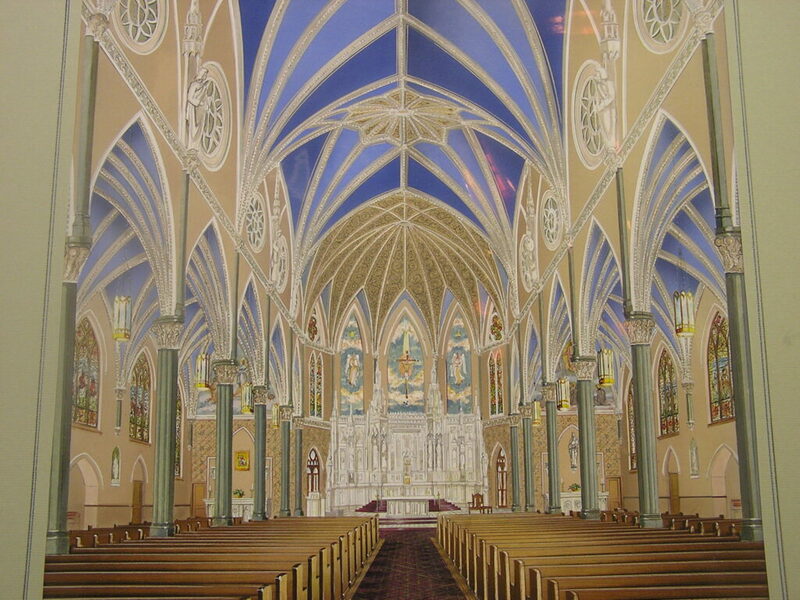 Daprato Rigali managed the entire renovation project. 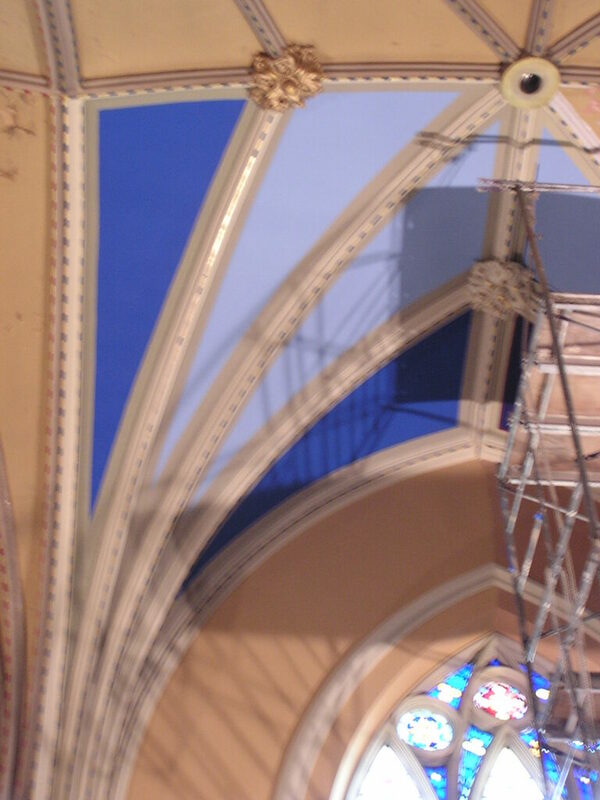 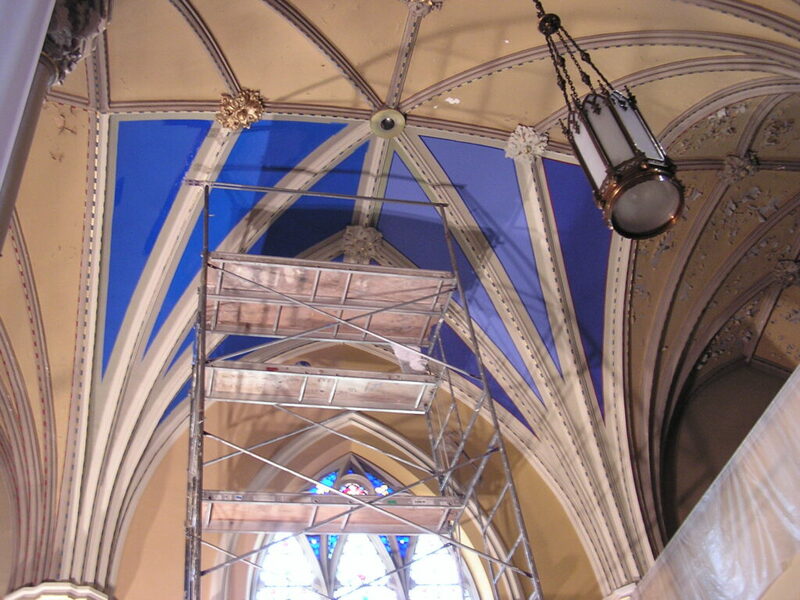 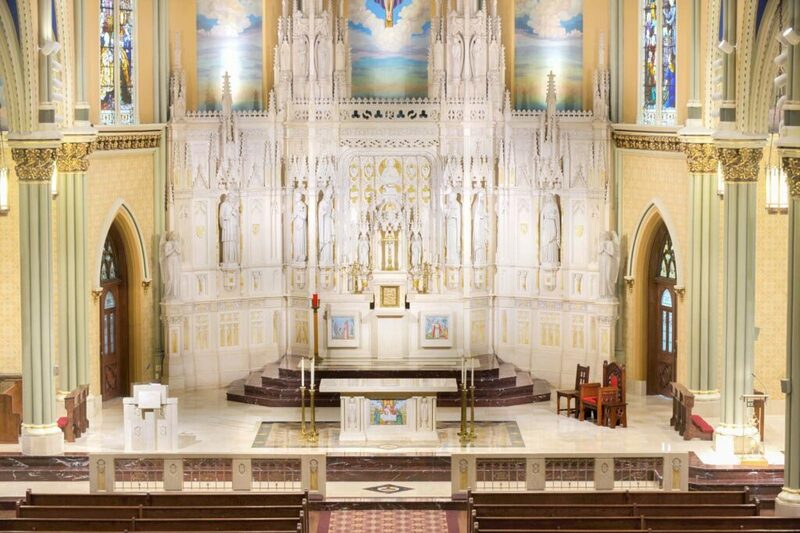 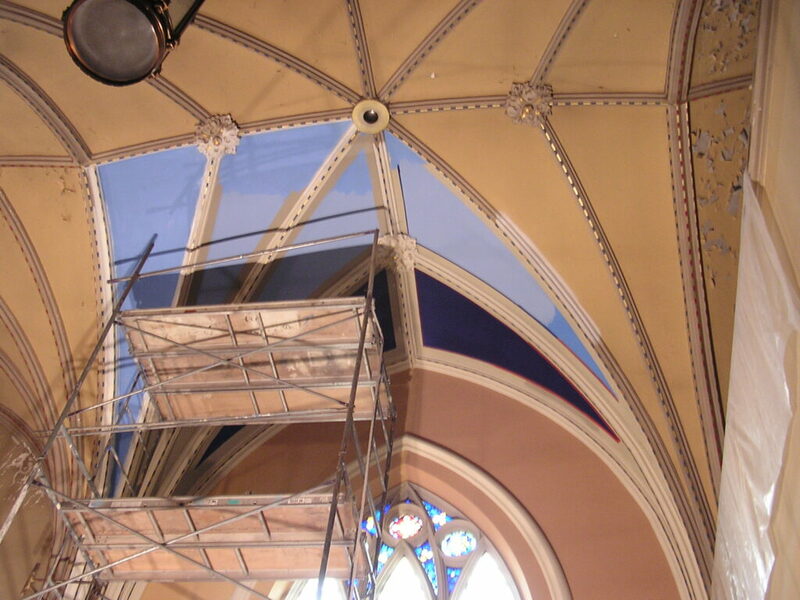 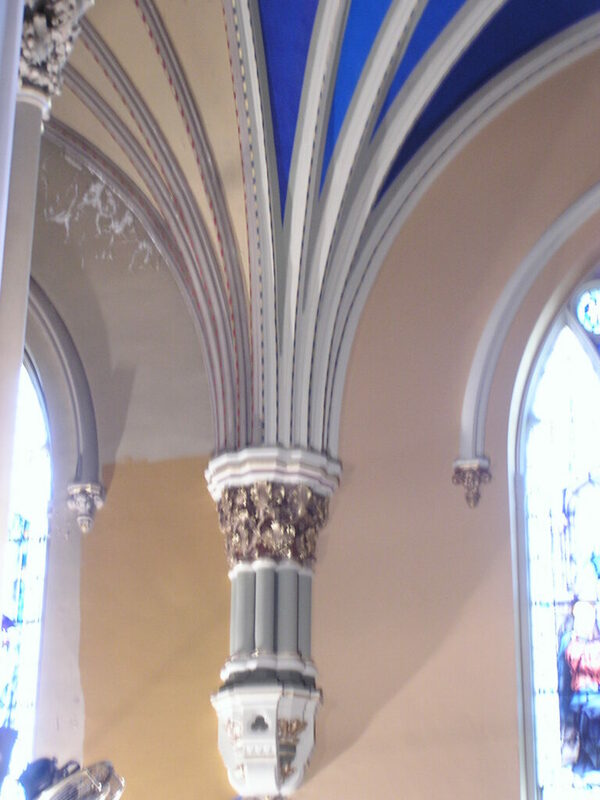 Specific work included – restoring the stained glass windows, new exterior protection glass, plaster-repair, stencil design, decorative painting, new flooring and re-finished the entire sanctuary and all sanctuary furnishings. 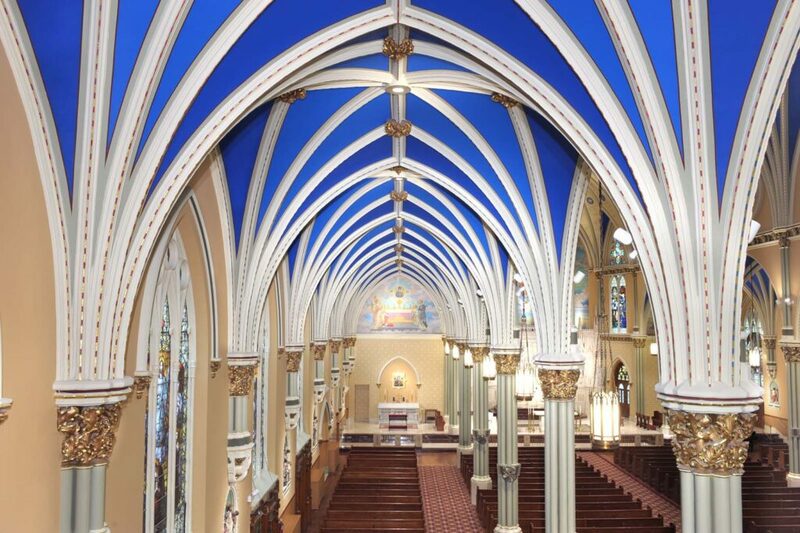 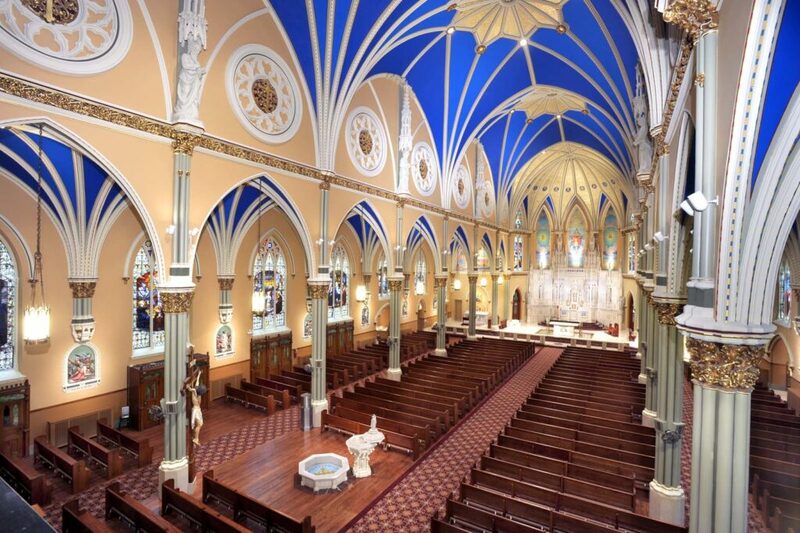 Daprato Rigali is proud to have been commissioned to steward such an historic transformation. 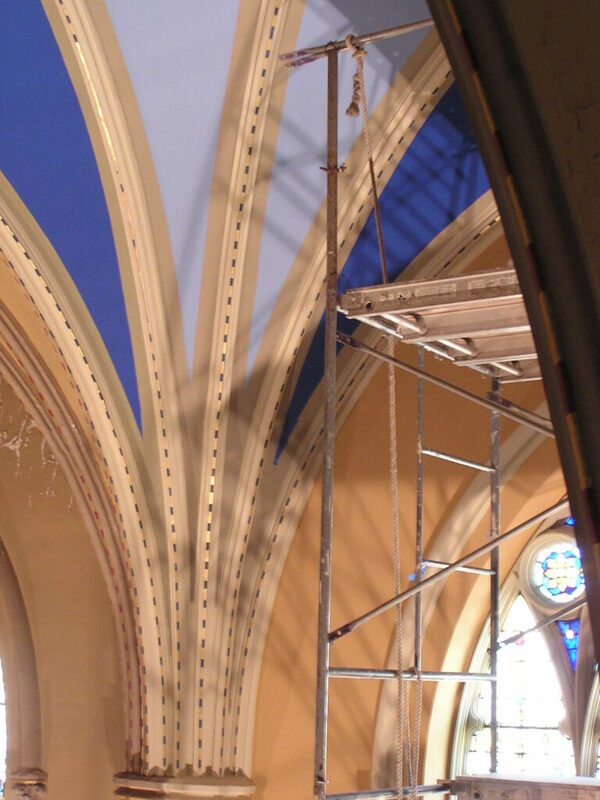 Many of the St. Alphonsus Parish staff also were vital in their input and commitment to the project and the final result could not have been achieved without their collaboration.